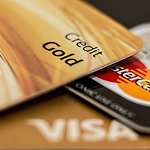 Start paying down your credit card debt one card at a time. You only need one or two credit cards so when you're done paying one off, you should close it up. Make sure you stay up to date on your billing cycle. Pay your balance in full each month before the interest rate will kick in. Don't obsess about your credit score. It doesn't take long to show you are in good standing.